It is that time of the week again, which means it is time for a round of boot spots. We have great new colourways from Nike and Adidas, worn by the stars of the Confederations Cup. We take a look at the boots here. Javier Hernandez (Mexico)  Nike Tiempo Legend IV ACC Light Bone/Black-Volt The prolific striker Javier Hernandez has had to concede to standing in the shadow of Robin van Persie when playing for Manchester United, but The Little Pea has far from forgotten how to find the back of the net. Against Italy, Chicharito, coolly slotted home from the penalty spot and he did so in the Nike Tiempo Legend IV ACC Light Bone/Black-Volt. 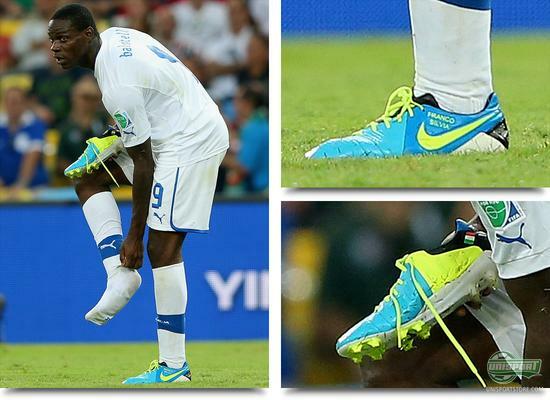 Mario Balotelli (Italy)  Nike CTR360 Maestri III ACC Current Blue/Black-Volt Super Mario is never shy of entertaining us with his colourful attitude, both on the pitch and off the pitch. 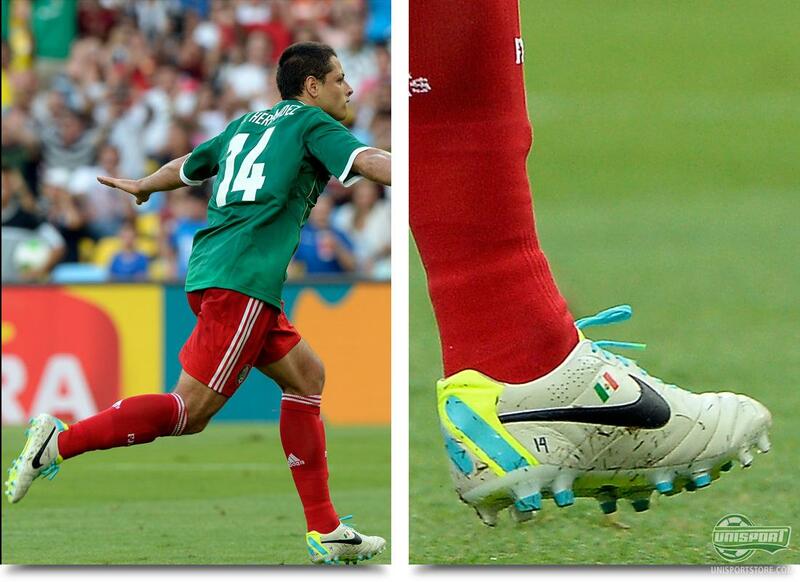 He was introduced as a Hypervenom player last week, but in yesterdays game against Mexico he was back in his trusted CTR360 Maestri III ACC Current Blue/Black-Volt. That was seemingly a good choice, because they ended up helping him score the winning goal. Neymar Jr. (Brazil)  Nike Hypervenom Phantom ACC Black/Bright Citrus There was probably a few Barcelona fans sitting rubbing their hands, when their new acquisition, the Brazilian prodigy, Neymar, wonderfully volleyed the ball into the back of the net, after just 3 minutes of play. If he can continue this impressive vein of form, once he lands in Catalonia, he will definitely prove to be worth the 57 million Euro investment. 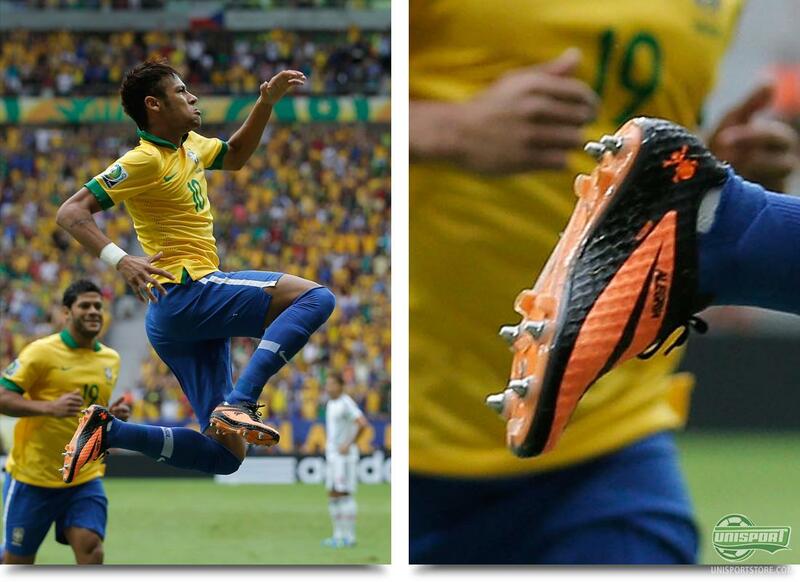 You would also think that Nike were quite pleased with the goal, as it was yet another goal for the Hypervenom Phantom. 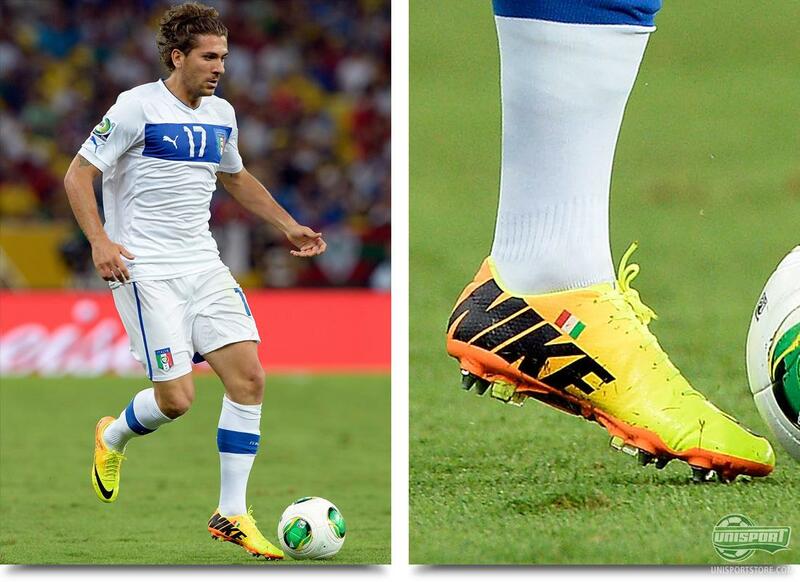 Alessio Cerci (Italy)  Nike Mercurial Vapor IX ACC Volt/Black-Bright Citrus Cerci has been one of the profiles for Torino this season, where he has impressed with great play, which has sparked the interest of AC Milan. Whether the move materialises, we will have to wait and see, but for now his focus is on the national team, where he showed off his skills against Mexico, in the new Nike Mercurial Vapor IX ACC Volt/Black-Bright Citrus. Javier Aquino (Mexico)  Nike Hypervenom Phantom Black/Bright Citrus It is not just the big stars like Rooney and Neymar Jr., who are playing in Nikes new Hypervenom. 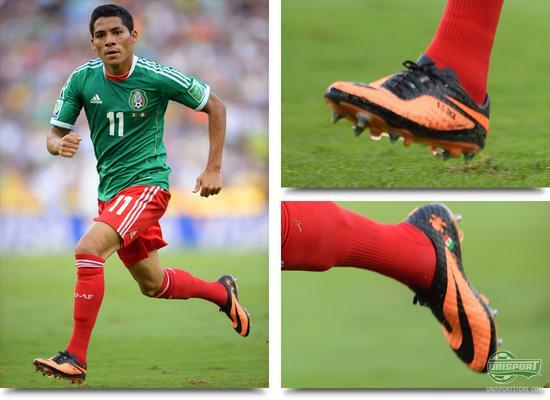 The boot has been welcomed with open arms at many levels of the game, and in Mexico's game against Italy the 23 year old Villareal-player, Javier Aquino, was wearing the boot. Jô (Brazil)  Nike Mercurial Vapor IX ACC Volt/Black-Bright Citrus Back when Manchester City came to money, the Brazilian Jô, was one of the first they threw their millions after. He did, however, never turn into the great success they were hoping for, but in this saturdays game against Japan, he proved that he knows the way to the back of the net. 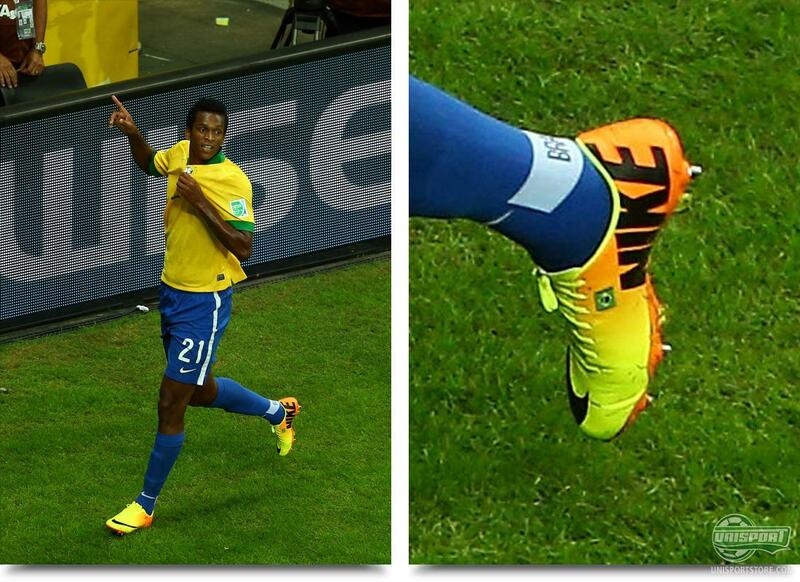 He scored a great goal with his Nike Mercurial Vapor IX ACC Volt/Black-Bright Citrus. Pedro Rodriguez (Spain) - Nike Mercurial Vapor IX ACC Volt/Black-Bright Citrus The Mercurial-collection has always been immensely popular, since they released the first boot 15 years ago. 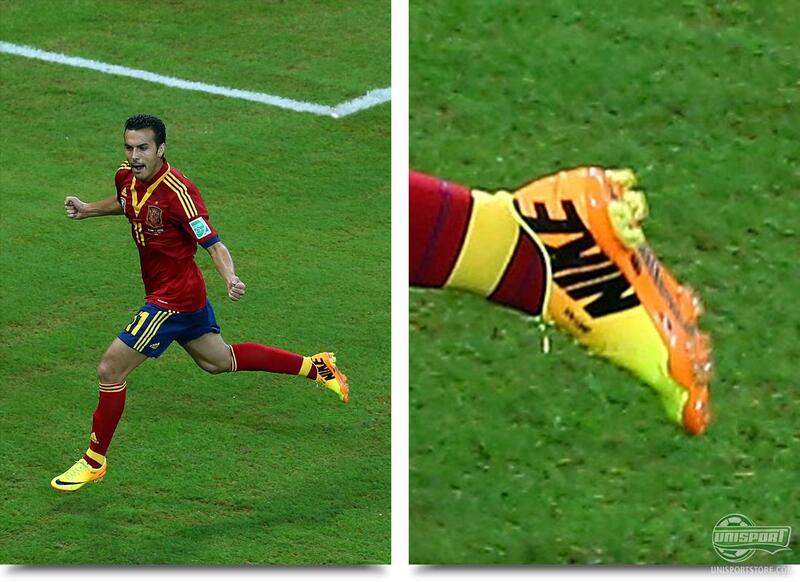 One of the players who enjoys the benefits of the boot is the Spaniard Pedro, who flashed his Nike Mercurial Vapor IX ACC Volt/Black-Bright Citrus, as Spain comfortably beat Uruguay 2-1. Without proclaiming ourselves as fashion-experts, we will also say that the colourway matches the Spanish kit incredibly well. 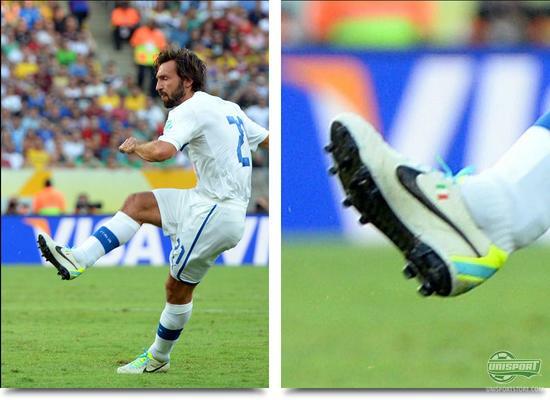 Andrea Pirlo (Italy)  Nike Tiempo Legend IV Elite ACC Light Bone/Black-Volt Now for a man, who needs no introduction. It can be hard to describe pure class, but that is what this man undoubtedly delivered, when he in his 100th game for the national side, scored a brilliant freekick. He scored the goal in the Nike Tiempo Legend IV Elite, which otherwise died out after the European Championships in 2012. This has not stopped Pirlo from showing off his sublime technique in the model, which has a strong carbon-sole, as a distinct trait. 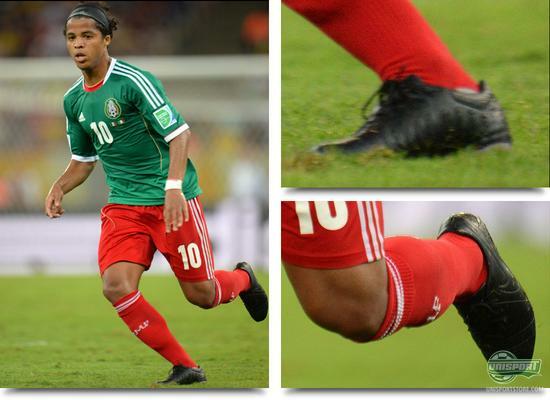 Giovani Dos Santos (Mexico)  Nike CTR360 Maestri III ACC Blackout It always adds an element of class, when you wear black football boots. This seems to be an opinion shared by Giovani Dos Santos. The Mexican attacking ace, played a magnificent game in his blackouted Nike CTR360 Maestri II ACC, even though he couldn't stop the Italians from winning. From the look of the boot, it also appears to us, as if the blackouting has been done by himself and quite successfully too. 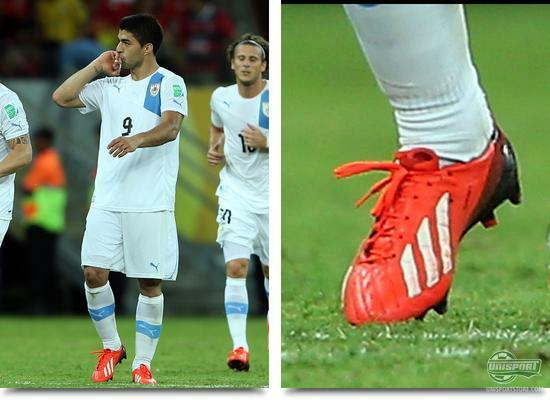 Luis Suarez (Uruguay)  Adidas F50 Adizero Infared/Black- Running White If Luis Suarez is the type who saves newspaper cut-outs of articles in which he features, the pile for this season would be very large. The Uruguayan striker has drawn lots of attention both on and off the pitch, but this weekend he let the football do the talking. He did so wearing his F50 Adizero Infared/Black- Running White, where he was the saving grace in a Uruguay's defeat to Spain. These were the boot spots for the weekend. If there is something you think we are missing, or if you have some comments for our choice of spots, then you are always welcome to drop a few comments here, or on Facebook and Twitter.